TV Addons repository has got its spotlight! And is back with new, improved features and with a lot of new add-ons. After the attack made by the lawmakers for hosting copyrighted content, the TVAddon repo was offline for a while, but it is back with a bang. Now all the add-ons and content in this repo is legal and safe to use. One of the best things is, it is equipped with the coolest feature like GitHub Browser. It is also available as an addon. GitHub is actually a popular repository-hosting website. It serves as the host to a number of third-party add-ons. 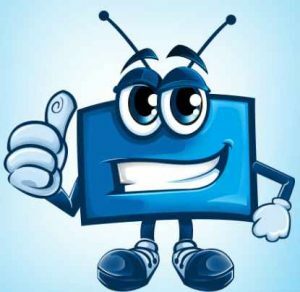 It allows you to download your popular Kodi addon in just one click. On an average, it brings you with 80+ add-ons. TV Add-ons was the creator of the URL resolver, which is the main feature of Kodi that allows you to stream. In other words, we can say that the URL resolver is the backbone of Kodi. The URL resolver work on the background of Kodi, which navigate through the host providers and scraps the streaming links which we see in Kodi. Step 1: Click on the Settings gear icon at the top left of the home page. Step 2: Go to the File Manager. Step 3: Select the Add source by double-clicking on it. Step 4: Add source file tab will pop-up. Select none. Step 5: Enter the path for the repository file. Type the URL: http://fusion.tvaddons.co and click on OK. Step 6: Add a name for the source file in order to make the identification easier and then click on OK. Step 7: Go back to the home page and select Add-ons. Step 8: Now Select the Package installer icon present at the top left corner. Step 9: Click on Install from zip file. A dialog box will open and select the name of the source file which you have entered. Step 10: Just wait until you a pop-up appears at the top right corner saying that the Repo is installed. Step 11: Now go to Install from repository. Select the addon you are looking for and install it. Step 12: Wait till you receive a short notification regarding the addon installation. TV Add-ons repository provides 75 video addons. Under this section, you can find a lot of popular add-ons. Whether you want to see sports, Movies, Documentaries, TV shows, Cartoons, Music, News, and much more, you can find it here. It almost contains media content of all genre. If you are a tv geek, this repo has a lot of entertainment and must try add-ons for you. It also includes a lot of program add-ons. The most popular one in Indigo. Its Configure wizard feature will set your Kodi with all best add-ons and tweaks in just one click. The Maintenance tools enable you to resize your cache. It has a set of featured add-ons and Kodi skins which are available as one-click options. Hope this will be useful and informative. If you have any issues with the content or any feedback, kindly comment below.